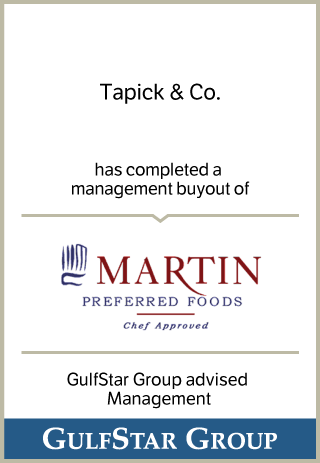 Martin, founded in 1944, serves as a leading "center of the plate" food distribution business headquartered in Houston, Texas with three additional distribution locations in Dallas, Austin and San Antonio, Texas. The Company supplies a wide variety of custom cut fresh meats, poultry, seafood and specialty foods primarily to restaurants, clubs and hotels. Since its inception, Martin has grown to become the largest independent "center of the plate" operation in Texas, serving over 2,700 customers across the state.